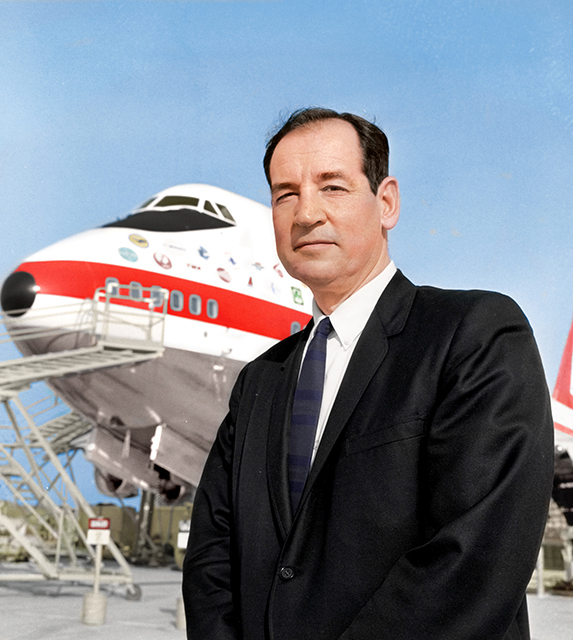 The man who led the development of the jumbo, that opened the world for all, legendary Boeing engineer Joe Sutter had safety as the top priority. 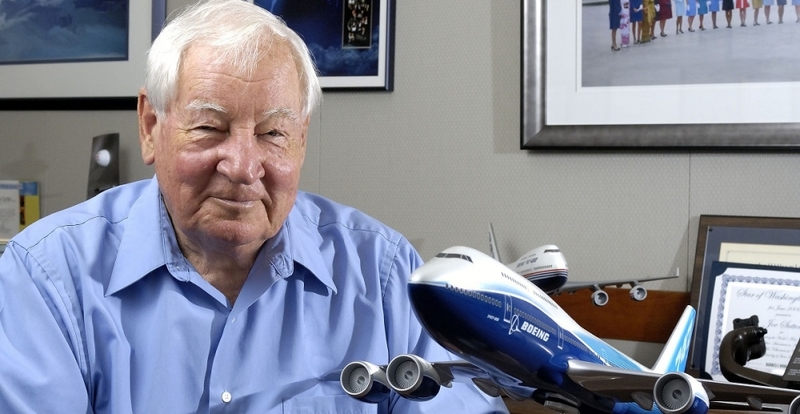 Sutter led the team behind the company’s iconic Boeing 747, known affectionately as the “jumbo jet’’, and was responsible for pushing the boundaries of 1960s aerospace technology. READ Jumbo’s crazy and not so crazy interiors. A graduate of the University of Washington, Sutter started at the Boeing plant after serving in the US in Navy World War II and was courted by both Boeing and the Douglas Aircraft Company after the end of the war. 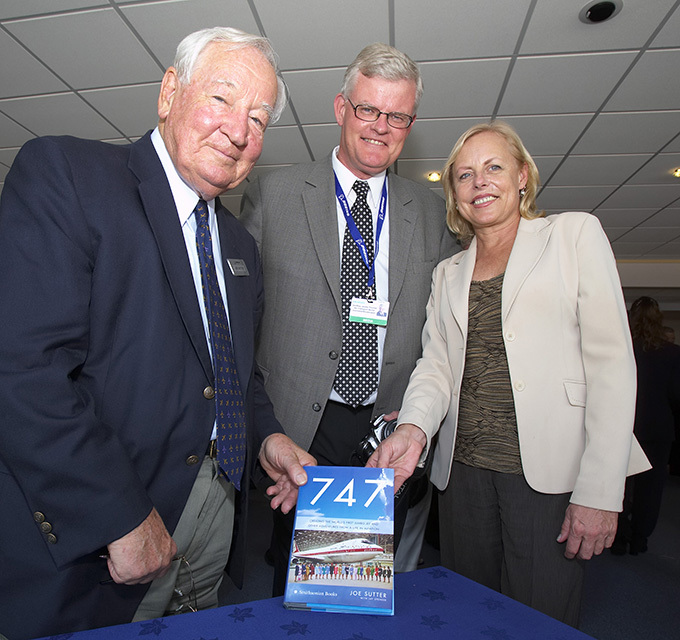 “He personified the ingenuity and passion for excellence that made Boeing airplanes synonymous with quality the world over,’’ then Boeing Commercial Airplanes President Ray Conner said in a tribute sent when Sutter died in 2016. At the time Sutter was designing what would become the jumbo jet, the world was looking to supersonic travel with the Boeing SST and the Concorde as the future in aviation. He speculated the timetable was because of the closeness to the retirement of two legendary aviation figures: Pan-Am’s Juan Trippe and Boeing’s Bill Allen. The two wanted the 747 completed in two-thirds the time ordinarily taken to develop an all-new jet and delivered by the end of 1969. This put Sutter’s group under tremendous pressure but they rose to the challenge. “In all my years at Boeing, I’ve never met a gang that pulled together as well as my 747 team,’’ he later recalled. Not that the journey was without turbulence. Pan-Am had originally asked for a double-decker plane but it’s management eventually accepted, after some persuasion, what was essentially a single deck plane whose cabin was twice as wide as any airliner that had ever flown. Engines were also a problem for the 747 and Sutter was forced to head off lobbying for an unsuitable General Electric engine in favor of a more suitable powerplant from Pratt & Whitney. Pratt’s JT9D engine was its first attempt at a high-bypass-ratio turbofan engine and was not without problems that included engine failures and surges. There were also issues with the wing loading, eventually solved by twisting outer wings in what became known as the Sutter twist. And the aircraft’s gross weight had also blown out from 550,000lbs to 680,000lbs before the 747s take-off weight was eventually redefined at 710,000lbs. When the first 747, R A0001, rolled out on a cold and overcast day in September 1968, it made global news and the crowd attending the vent gasped audibly and broke out in spontaneous applause. “More important,” Sutter said in his book. “A whole lot of bankers felt vastly relieved to see in the papers and on TV that Boeing had a real airplane to show for all that money we’d borrowed from them. Boeing had wanted the aircraft to fly on December 17, 1968, to make the 65th birthday of the Wright brothers’ flight at Kitty Hawk in North Carolina. That first flight would come on February 9, 1969, and Sutter described his quiet elation on the day. “I saw Boeing’s new jet as 75,000 drawings, 4.5 million parts, 136 miles of electric wiring, five landing gear legs, four hydraulic systems and 10 million labor hours,’’ he recalled. As the plane took to the skies and performed a shallow turn, Sutter found himself unable to say anything. Despite reassurances the plane was “flying beautifully’, it was not until it descended to the runway “with the stately majesty of an ocean liner”, flared gently and touched down smoothly that Sutter relaxed. Throughout all this, one thing Sutter was never prepared to compromise was safety. Innovations included a decision to take redundancy on the 747 to new levels with arrangements such as four separate and independent hydraulic systems. The most comprehensive certification program performed to that time kept five 747 test aircraft flying seven days a week over 10 months of flight testing. The jumbo jet would become the Queen of the Skies, selling more than 1500 units and still in production today. “By then his hair was white and he moved a little slower, but he always had a twinkle in his eye, a sharp mind and an unwavering devotion to aerospace innovation and The Boeing Company,’’ Conner said in his tribute.